Found 3 file extension associations related to Age of Mythology and 3 file formats developed specifically for use with Age of Mythology. 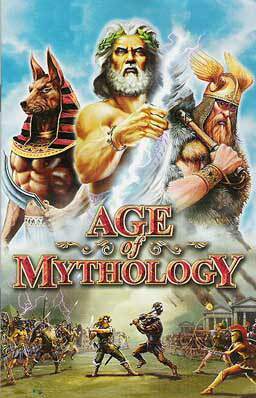 Age of Mythology is a RTS game from Microsoft Studios. Taking on the role of one of nine ancient civilizations, players guide their people to greatness by commanding all aspects of their empire: gathering resources, raising massive armies, waging war against enemies, establishing profitable trade routes, building new settlements, enhancing production or military might with improvements, exploring new frontiers, and advancing through four distinct ages. In their struggle for supremacy, players can use mythological creatures like Minotaurs and Cyclopses to bolster their armies' strength. Players may also call upon the gods for assistance in flattening enemy towns with meteors or scattering opposing troops with lightning storms. All of this is brought to life using a revolutionary 3D engine developed by Ensemble Studios. The engine is capable of providing the most realistic, beautiful, and immersive world ever seen in a real-time strategy game. How to convert avi files to flv - A guide about how to convert your avi files to 3gp format using MyVideoConverter. If you need more information please contact the developers of Age of Mythology (Microsoft Studios), or check out their product website.